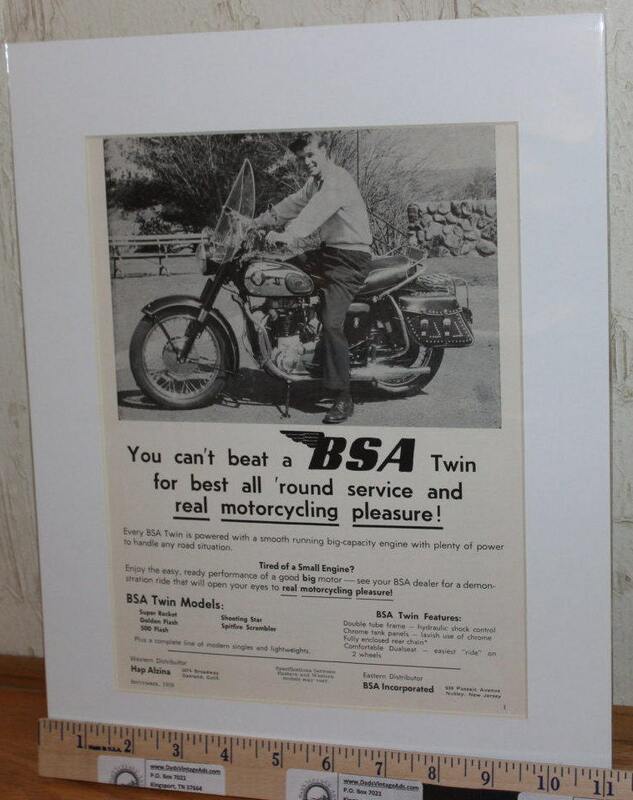 You can't beat a BSA Twin for best all 'round service and real motorcycling pleasure! 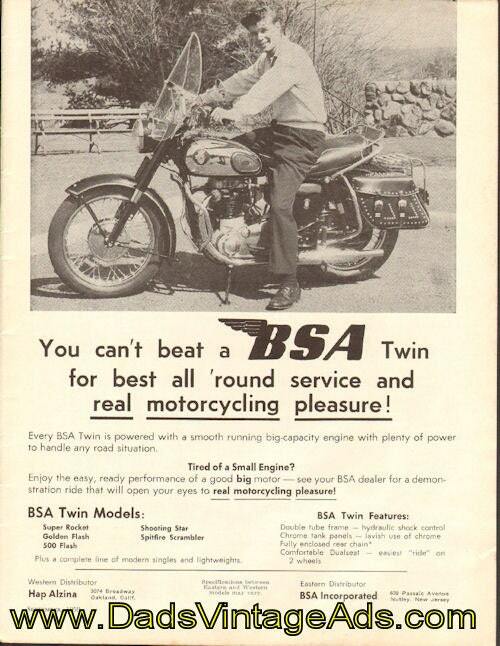 Every BSA Twin is powered with a smooth running big-capacity engine with plenty of power to handle any road situation. Tired of a small engine? Enjoy the easy, ready performance of a good big motor.